challenge the reader's viewpoints and expectations Bibliographies for further reading Indices & Glossaries, when appropriateAll editions are beautifully designed and are printed to superior specifications; some include illustrations of historical interest.Barnes & Noble Classicspulls together a constellation of influences—biographical, historical, and literary—to enrich each reader's understanding of these enduring works. 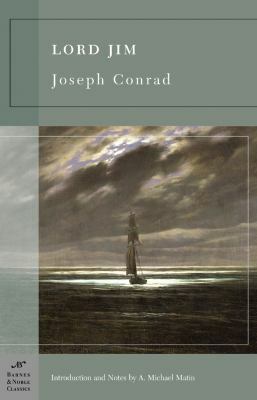 nbsp; WithLord Jim, first published in 1900,Joseph Conradtransformed a tale of seafaring adventure into a subtle study of the meaning of honor and courage, loyalty and betrayal. When Jim, an idealistic merchant seaman and ship’s officer, abandons the supposedly sinkingPatnaand its passengers, he dashes his youthful dreams of glory in a single stroke. Condemned in court for his impetuous act of cowardice, Jim relegates himself to a life roaming the Far East. Unforgettably told by Marlow, who also narrates Conrad’sHeart of Darkness, the story ofLord Jim plumbs the mysteries of a man renounced by society but driven by a desire for redemption. A. Michael Matinis a professor in the English Department of Warren Wilson College in Asheville, North Carolina. He has published articles on various twentieth-century British and postcolonial writers, and has written the introduction and notes for the Barnes & Noble Classics edition ofHeart of Darkness and Selected Short Fictionby Joseph Conrad.